Recovering full compensation after insurance bad faith or a claim denial for Californians from San Francisco to San Diego and throughout California since 1979. 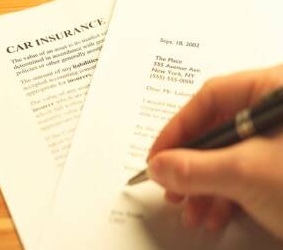 Insurance policies are contractual agreements. When an insurance company delays or denies your legitimate claim, they are in breach of contract and you have the legal right to seek the full amount of your claim plus potential punitive damages. If your insurance claim has been denied, or if your insurance carrier has, in bad faith, not paid your claim following an earthquake, car accident, amusement park accident, home fire, or storm, contact one of the experienced insurance dispute lawyers at Golden Gate Law Group to schedule a free consultation. Anyone operating a motor vehicle in California must have a valid California driver’s license and a minimum amount of liability insurance to provide compensation in the event they are responsible in a negligent accident. Golden Gate Law Group’s attorneys have over 35 years experience helping California families recover compensation from the negligent driver’s insurance company as well as the uninsured driver when an insurance claim is delayed or denied in bad faith by your own insurance company. You pay your insurance policy premiums faithfully for years only to be denied payment on a technicality when you need the money most. 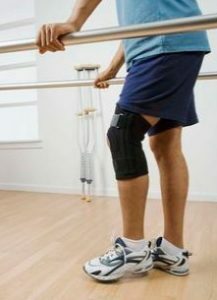 Our insurance dispute lawyers take these types of cases personally and won’t hesitate to go head-to-head with a national insurance carrier in the courts if it’s the only way to recover maximum compensation for your injuries. Insurance companies are big businesses and they don’t make money by paying out claims. Whether through willful acts or simple business practices, they employ a variety of techniques to stall or delay your claim in the hope that, in desperation, you will accept a substantially smaller amount or no settlement at all. In many cases, an insurance company will deny a claim based simply on the amount rather than the circumstances of the accident. After more than 35 years of exclusively protecting the rights of injured Californians, our attorneys at Golden Gate Law Group have acquired an intimate knowledge of California liability and insurance regulations and a broad understanding of deceptive practices by insurance companies. We have negotiated and litigated insurance disputes at all levels of the California state courts and have substantial experience in the filing of motions related to breach of contract, declaratory relief, appeals and other actions that will compel the insurance company to meet their legal and financial obligations. Our personal injury clients, regardless if they live in Northern or Southern California, look to us for compassionate legal advice and aggressive representation in the courts. Please take a look at our sample of our successful results over the past 30 years. And for more information on other areas of personal injury law practiced by Golden Gate Law Group, including pedestrian accident,dangerous and defective products, and premises liability, please contact us now. Our toll free telephone number is 1-800-704-0151. With our regional law offices we serve clients throughout northern, southern, and central California. Our insurance dispute attorneys have the legal and financial resources necessary to force an insurance company to pay a valid claim.